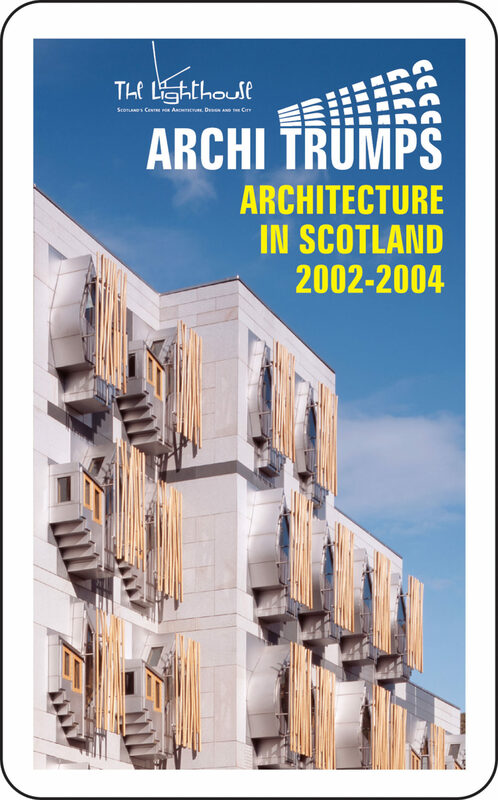 Architecture in Scotland 2002 - 2004 showcased the best urban, suburban and rural architecture and landscape projects in Scotland. 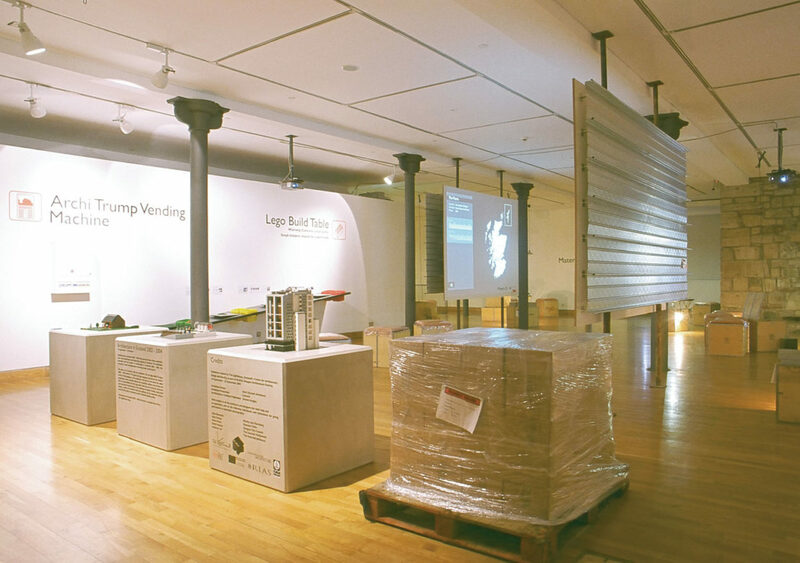 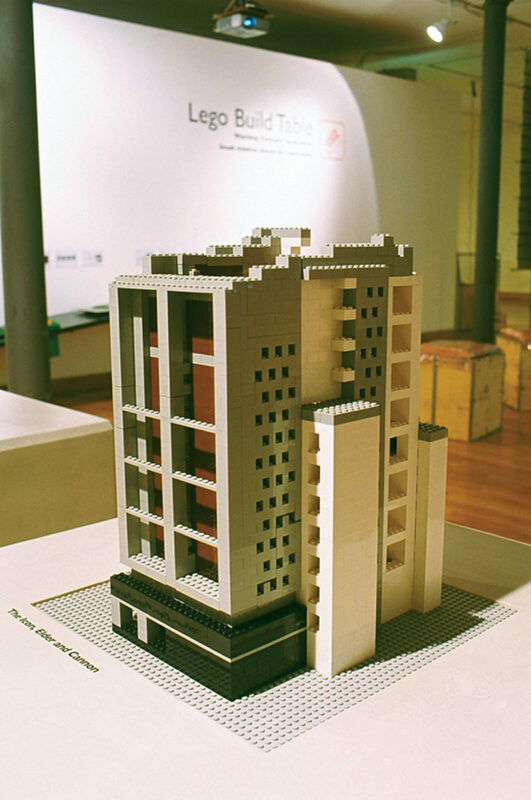 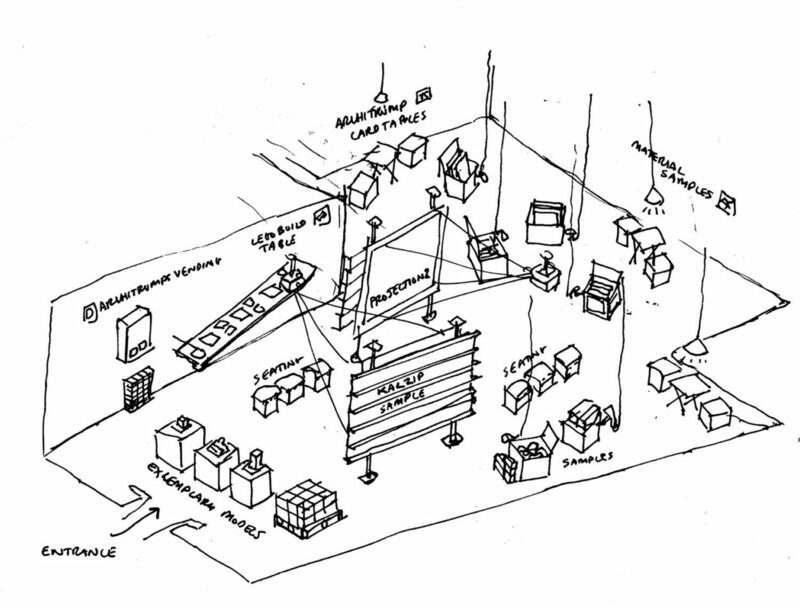 The exhibition coincided with the launch of Architecture in Scotland 2002 – 2004, the second in a series of publications reviewing contemporary architecture in Scotland. 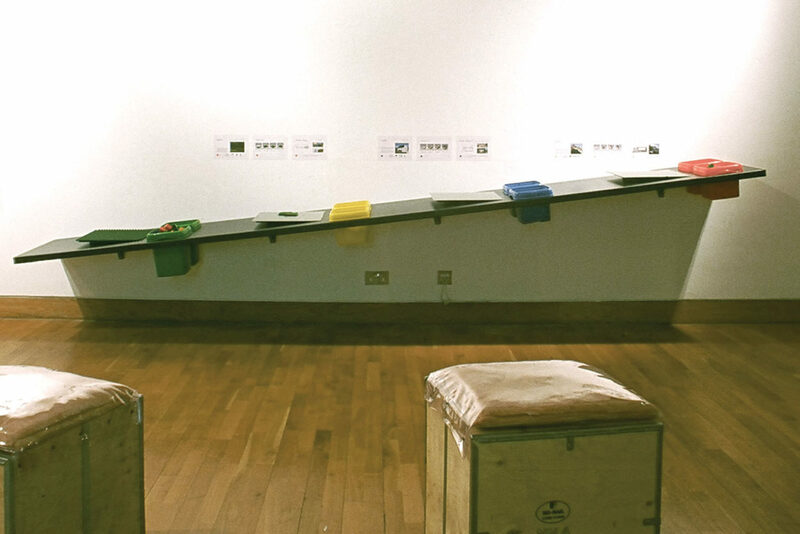 The public were invited to interact with the exhibition. 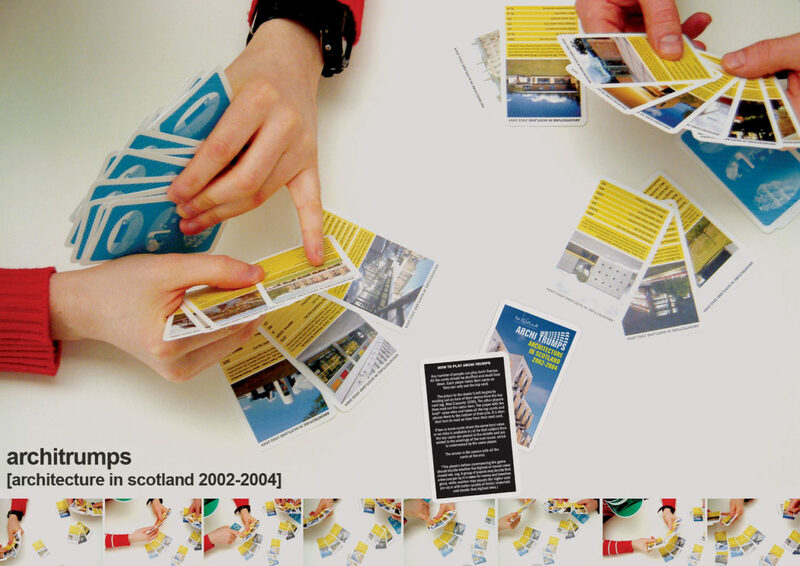 We designed and produced an original set of Archi Trumps 2002 - 2004 edition, featuring each of the projects on show in the exhibition, to allow comparison and discussion of the relative merits of each. 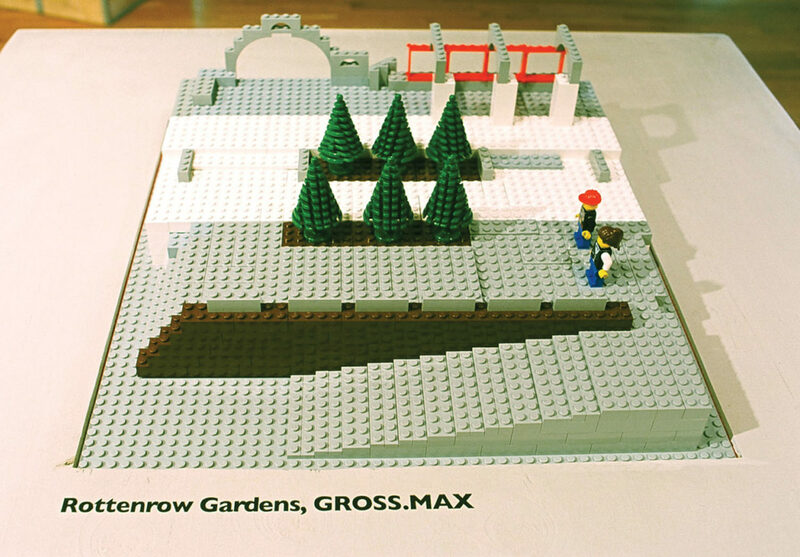 Visitors to the exhibition could also sit and watch the video projections, where symbols indicating the amenities, utilities and services on offer in each building were displayed, and could also construct their personal interpretation of the buildings in the exhibition on the Lego Build Table. 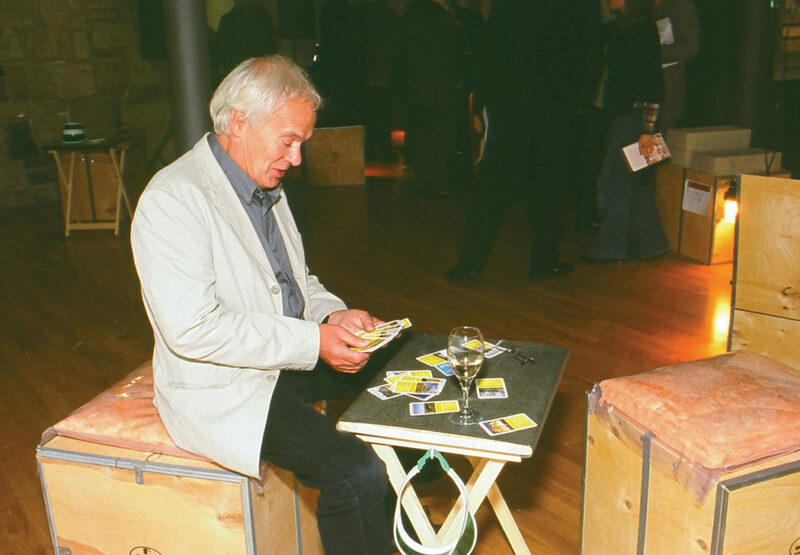 Finally using hand lamps, visitors could also inspect a variety of materials selected from the buildings, giving a taste of the variety of products used in Scottish building at that time.